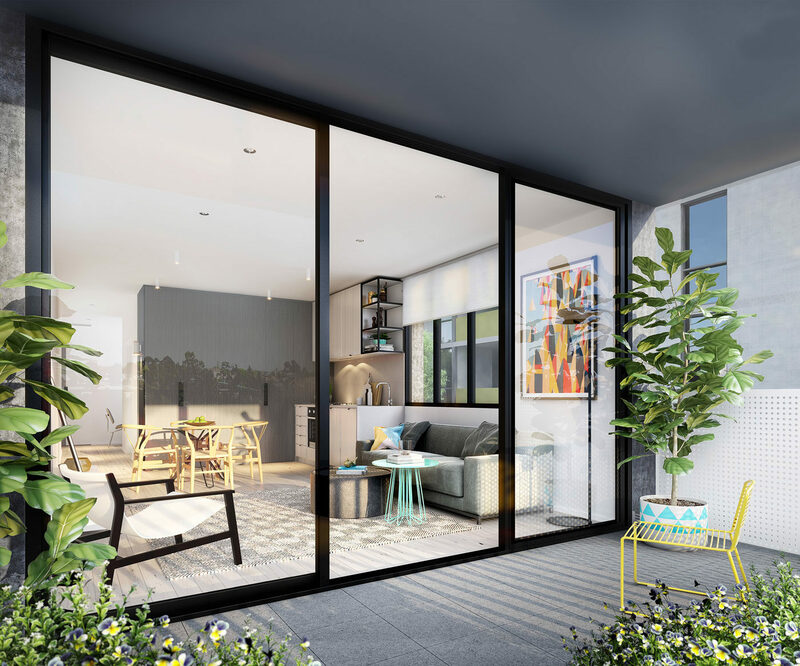 Flourish is the latest addition to Parkside, an established and growing community in the inner-city suburb of Parkville. Property Group. The leafy environment, encompassing more than 20 acres, affords residents the gym and pool facility of The Park Club, as well as an outdoor recreation hub, ideal for both physical activity and well-earned relaxation. 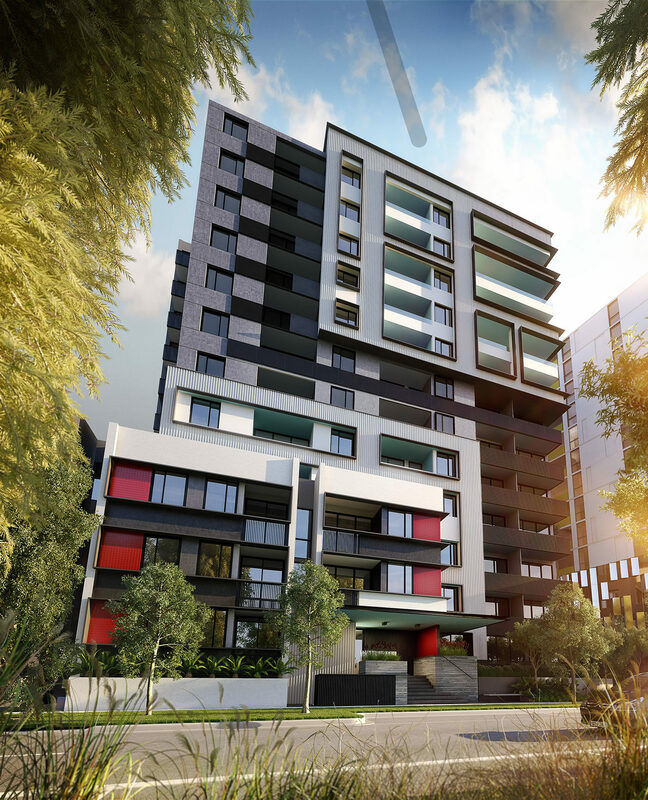 The green space includes tranquil Parkville Gardens and the neighbouring wetlands, as well as the Village Oval, which caters to a variety of sporting enthusiasts. 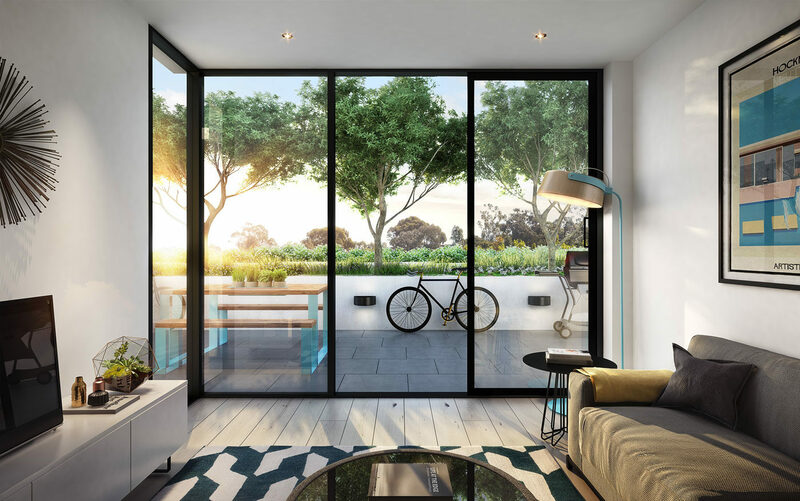 A short walk through a landscaped corridor also puts Royal Park, 4km from Melbourne’s CBD, within reach. Whilst complementing adjacent buildings, Flourish differentiates itself through variation in scale and design. Lower level ‘townhouse’ style apartments bring residential character and scale to the street edge with a subtle play of proportion and colour. An extensively landscaped podium sits at the base of the tower above, which is elegantly set back with sophisticated façade elements that articulate light, shadow, texture and depth. The composition of white textured cubes frame the dwellings and spaces within, creating a foreground that contrasts with the silhouette of the tower behind. The building has been designed to maximise views of the surrounding parkland areas, and the façade is set cohesively behind the tree-lined street. 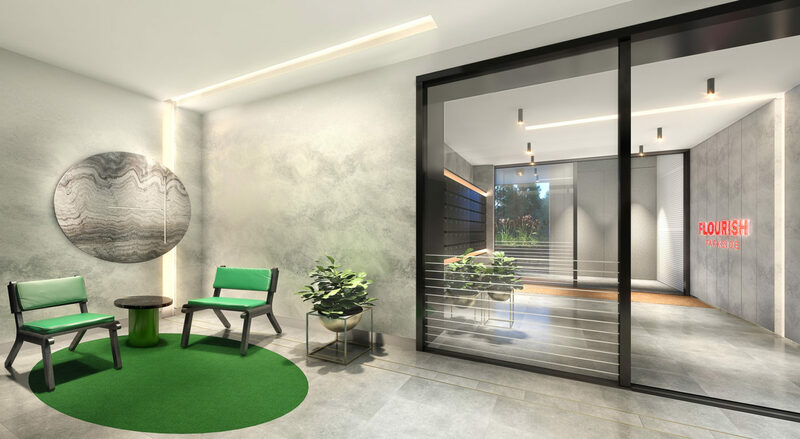 Generously proportioned with a broad front entry porch and wide steps, the contemporary lobby is a welcoming space that typifies the modern interiors found throughout Flourish’s one and two bedroom apartments. Reflecting the architectural materiality of bold concrete forms and framed openings, the contrasting black steel details and key furniture pieces link the interiors and architectural language in a cohesive manner. Each apartment is provided with a video intercom system for secure access to the building. Residents also have the option of a downloadable app which connects their mobile device to the buildings access and intercom system which can be accessed remotely. Secure bicycle facilities are also included for residents.